Few days ago Norway celebrated one year anniversary of the terrorist attack in Oslo and Utoya. It makes me shiver a bit, to write about Oslo, my April trip, right now, because memories come out again. I hope that, if some Norwegians read this post, they can appreciate my comments about this lovely city and its peaceful, proud and independent citizens. According to my experience the days following Easter break are the best to take advantage of low cost tickets, so I went to visit my older brother, who’s been in Oslo for the past 3 years. 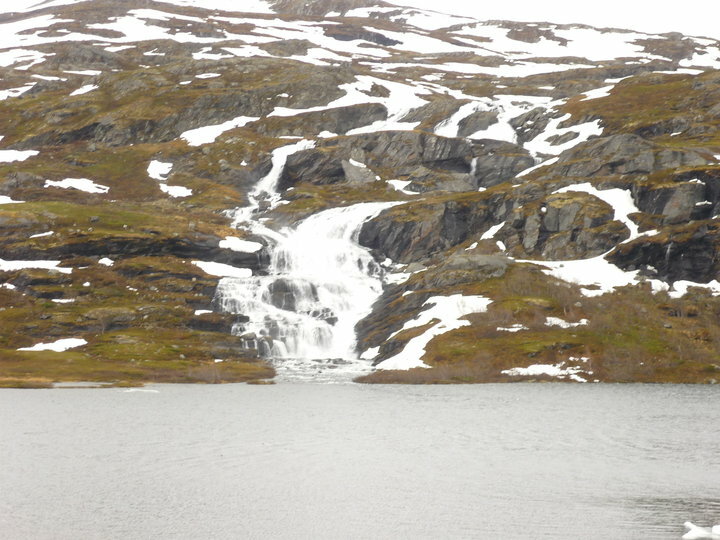 He decided to move there after living in Spain and UK, mainly inspired by his great love for nature and by the confidence to find better socio-economic guarantees to build both working and family projects, thanks to Norwegian solid welfare state. “Dream big, move to Scandinavia” One of my favourite thing about Norway and Scandinavia is the idea of Hus, home: a house is/must be coloured and well curated from the outside, spacious and warm in the inside. 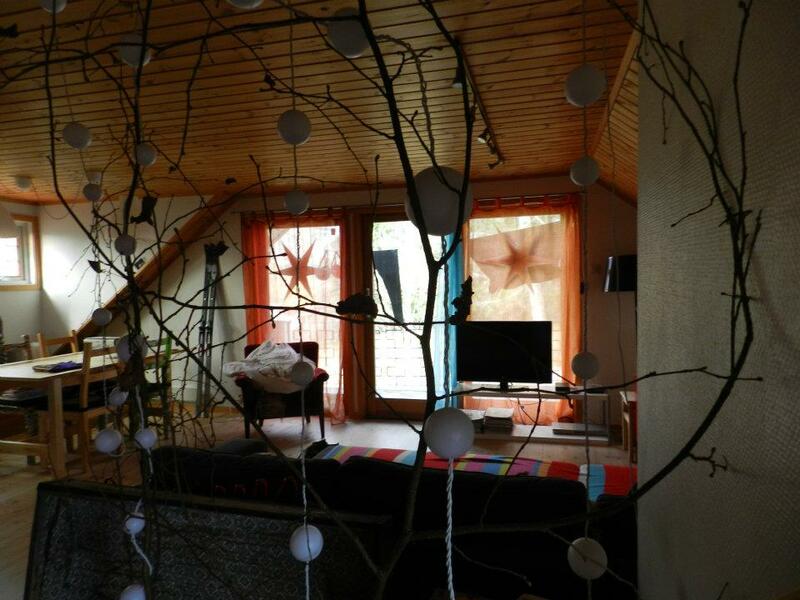 A house in Oslo, especially outside the city center, are made with love, so that people can feel secure in them. 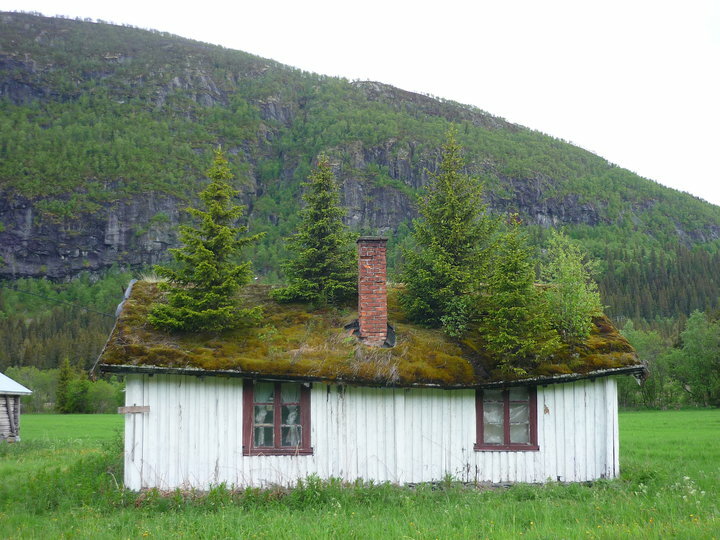 A funny detail, well funny for a profane foreign person like me, is an old tendency to make grow grass or trees on the roof, an efficient tradition to protect the house from cold and snow during those long Winters, in the most natural way. I find it an example of how civilized people can respect and get along from mother nature. I wish I could see it in other countries too. I don’t know if it has ever occurred to you too, but I feel more connected to the city when I visit a place where somebody I am close with lives, as if I somehow understand and belong to that place too. I guess that I have developed a certain empathy for places, due to my travelling passion. I really like Oslo, its nice city center, its laying on sweet hills, the trams and the isles on the fjord. A good beginning is certainly to visit the official websites, they are so well built and translated in many languages you will be able to find all the information you need. I personally suggest to download online the walking tour around the center, it is really easy and enjoyable to do; additionally, art lovers, Oslo is a city for you! Highly recommended Munch Museet (a must! ), Museet for Samtidskunst and Stenersen Museet. Since I had already walked all around the center I decided to jump into the water! 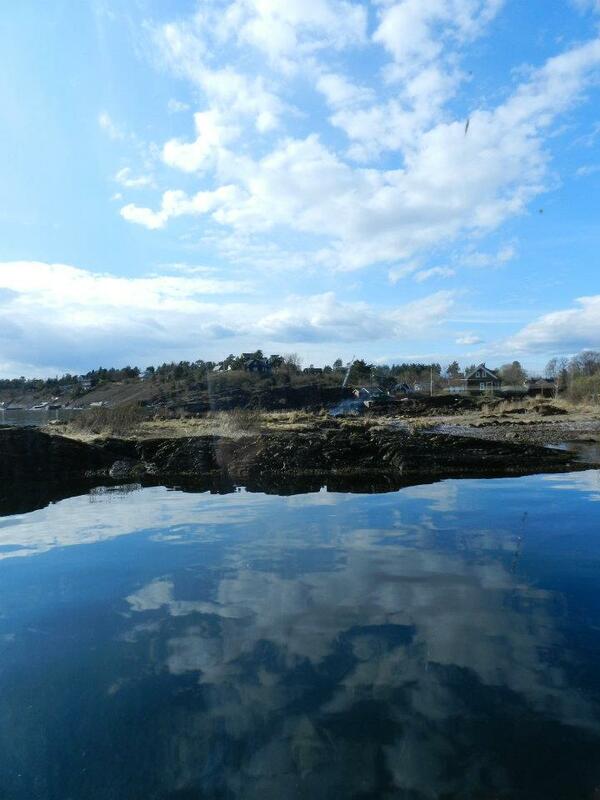 I had an amazing cruise around Oslo Fjord, where I could take lots of beautiful pictures and enjoy the view. The feeling you often have in Norway is to lose perception of the colours green and blue: they are so bright that they seem melted together at the same time and what a better moment to feel it than during a cruise? It was the moment of the trip when I felt like nature was a triumph and I just wanted to be part of it, but in the humblest way. Sky, land and see are kissing each others. 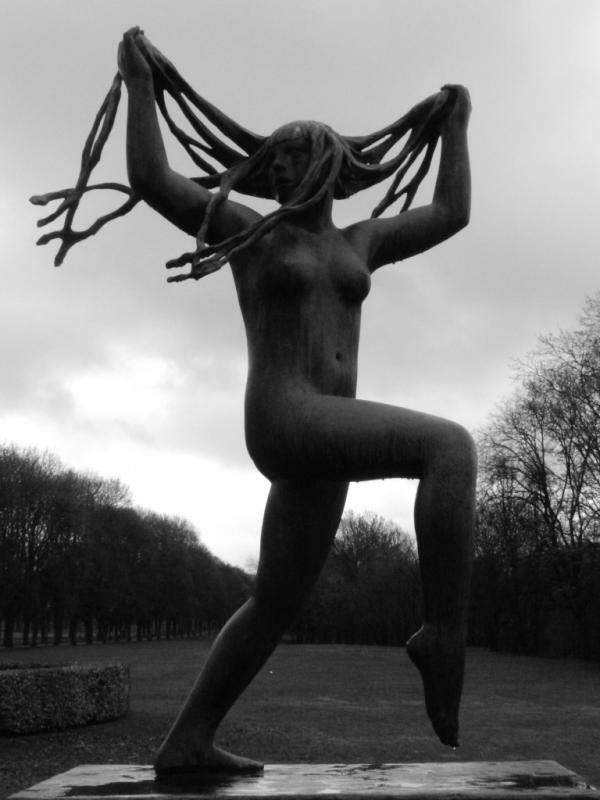 Another terrific inspiring place is Vigelandsanlegget in Frogner Park: 212 statues created by artist Vigeland during his whole life as a tribute to human conditions. The interest aspect is that the statues have no title, so everything is open to interpretation. The place is really worth a visit, especially because feelings get along with the nature around. I am going to end this post describing the joy of being in a city with someone who’s actually living there: easy way to find alternative things to do and see. Thanks to the brother, accredited expert in wine and beer, I enjoyed a beer tasting in a pub with its own brewery “Oslo Mikrobryggeri”. Priceless moments. Last but not least: please do hang out in Grünerløkka, a very young and lively area: to visit at every time of the day. And how could I forget? Aker Brygge is a very beautiful new area in the harbour, ideal place for shopping and food during the day, with real unique buildings, my favourite place in town indeed. This entry was posted in Travelling 2012 and tagged Norway, Oslo, Travelling. Bookmark the permalink.